Ok so this post is slightly late, it was supposed to be published at the weekend but I’ve had so much going on I didn’t get a chance. I know I’ve been a bit AWOL this last week as far as the blog is concerned. I’ve just had a lot going on, which I won’t go into now, plus Fred has just started school! He was pretty upset for the first few mornings but soon got into it, bless him. He’s been on half days all of last week to get used to it, which has been quite difficult from my point of view as it’s completely thrown our schedules out the window! He’s just started full days yesterday though, so I’m hoping I’ll be able to get myself a bit more organised this week! I’ve fallen completely in love with Jo Malone London Mimosa & Cardamom Cologne (£42.00) – I’m a big fan of JM products byway, but I have to say this new fragrance is definitely one of my favourites. With top notes of cardamom, heart notes of mimosa and base notes of tonka bean, this fragrance is warming, comforting and perfect for Autumn. I’ll have a full review coming up soon. I’ve had the Smashbox Step-By-Step Contour Stick Trio (£35.00) for a while now but I’ve only just got round to using them regularly. This set includes three ‘sticks’ including a darker shade for contouring, a light shade for highlighting and a medium shade for bronzing. I love that these creamy sticks are so easy to use – you literally just apply direct to your face and blend in. The shades are easy to blend together and customise to reach the strength of colour required to suit your complexion. I’m pretty pale so I was concerned the contour shade might be too dark for me, but I apply lightly and blend in well and it works a dream! This week, my living room has been fragranced by the beautiful Orla Kiely Orange Rind Scented Reed Diffuser (£32.00) – this diffuser contains a luxury blend of orange rind, sandalwood, and eucalyptus essential oils, infused with a hint of nutmeg, to create an indulgent and warming scent. I highly recommend this if you’re a fan of citrus scents. I’ve also just added this lovely Treaclemoon Vanilla Moment Bath And Shower Gel (£2.99) to my bathroom cabinet. I’ve tried Treaclemoon bath products before and they’re just fantastic, as well as affordable. This vanilla scented bath and shower gel smells amazingly yummy, and it’s perfect for an indulgent bubble bath! And lastly, I have new shoes! These Clarks Janey June Leisure (£55.00) are in a classic Mary Jane style, but with a twist. Clarks shoes are definitely my go-to brand for comfort, as well as style and these gorgeous black leather shoes fit me perfectly. They’re also super durable so I know they’re going to last me a very long time. 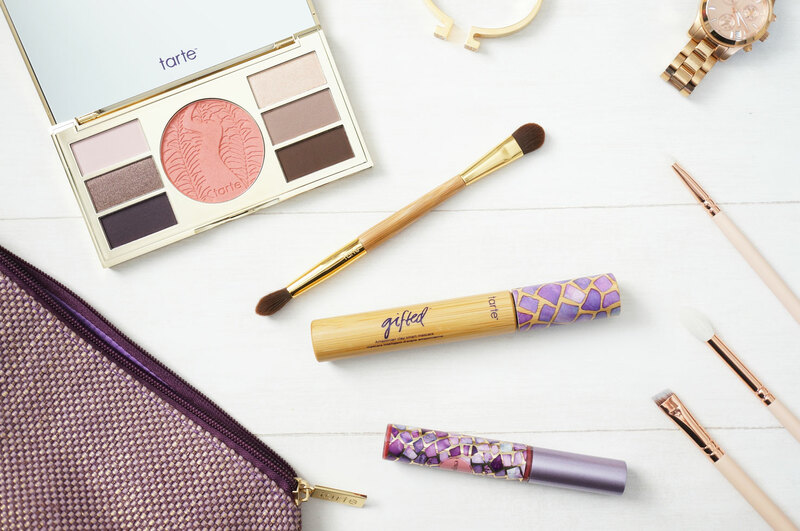 Did you catch this gorgeous Tarte Miracles From The Amazon Set on the blog last week? It really is a beautiful collection, it’d make the perfect gift for a makeup fan, or if you’re looking to treat yourself. This stunning Ombre Moto Jacket is just EVERYTHING. I’m not sure if it’s a blessing or a curse that it’s not available in my size right now, but one day it will be mine, oh yes. Keep an eye out on Twitter on Wednesday night for the #SlimFastWorksForMe chat. This will be starting at 8pm, hosted by myself as well a two other lovely bloggers. We’ll be talking all about healthy eating, motivations and goals as well as SlimFast’s exciting new products – and there will also be a competition too! Check out Chronic Beauty for fantastic beauty and lifestyle posts. Next Post Tasty New Products From SlimFast!